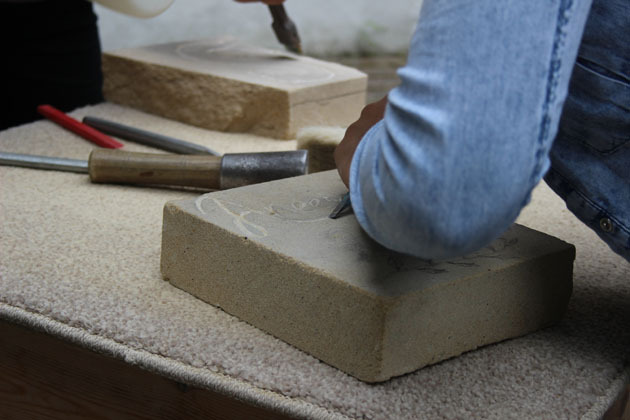 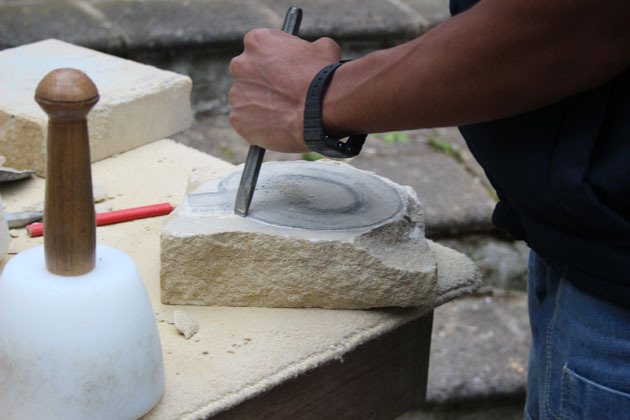 On Sunday I spent a very enjoyable day running a stone carving drop-in workshop for visitors to the Dales Countryside Museum in Hawes. 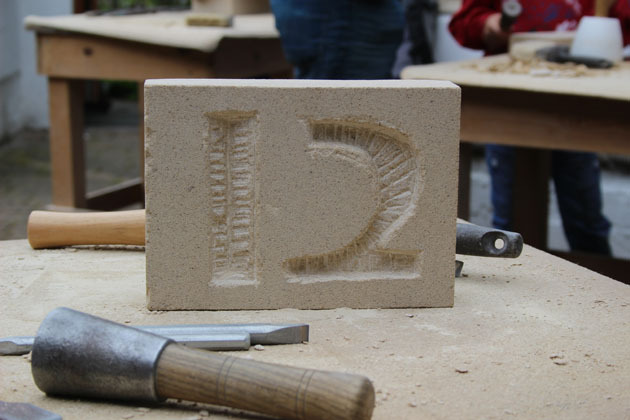 Lots of families came, with everyone making a carving to take home. 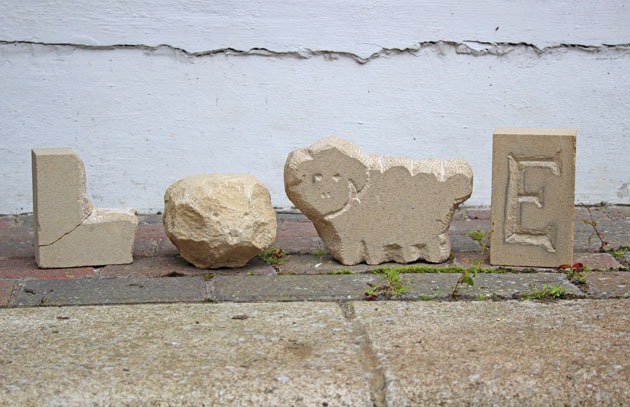 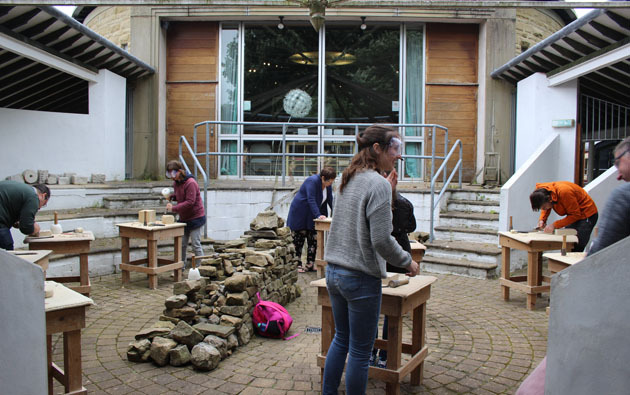 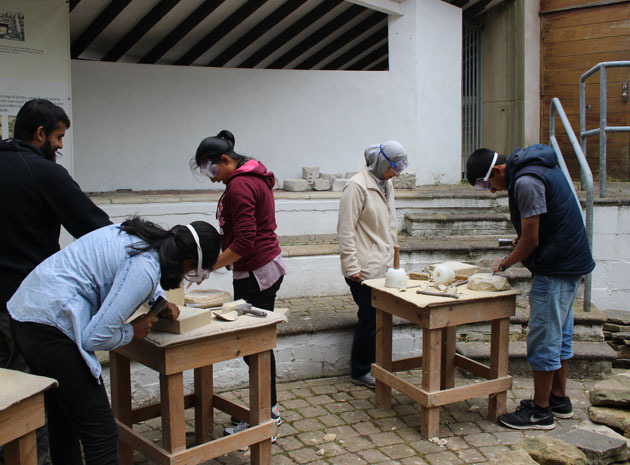 The little outdoor theatre at the museum makes a lovely venue for stone carving – it is a sort of D shape, part roofed round the curve and so remaining light and airy – it rang all day with the sound of busy hammers on chisels! 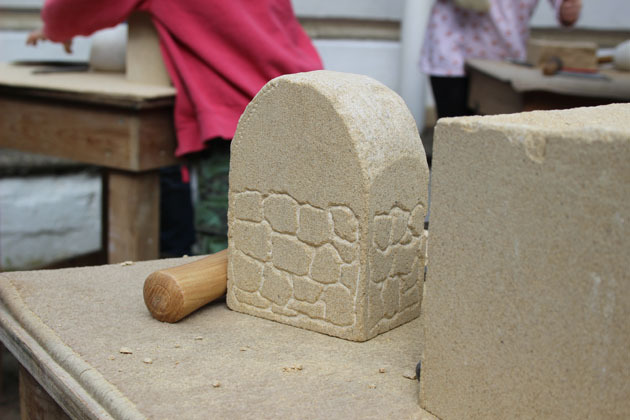 A big thanks to everyone who came and carved – well done! 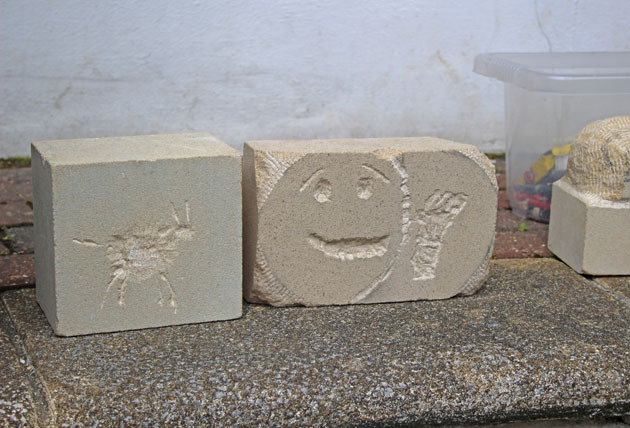 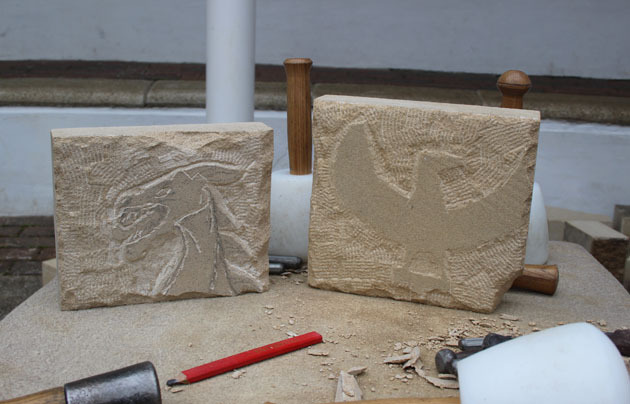 Here are some of the carvings made throughout the day. 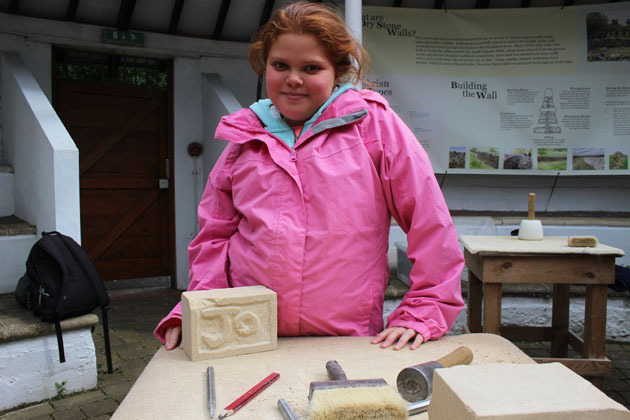 Huge thanks too, to the Rangers, volunteers and helpers at the museum, who looked after me all day and especially to Jane Filby, volunteer, who worked, non-stop, with me looking after and welcoming everyone as they came to carve (at times it got so busy that I would have struggled to cope on my own!). 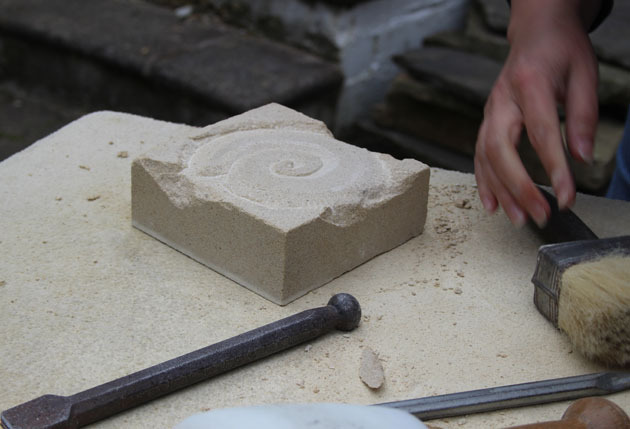 You were wonderful Jane – thankyou.